I am completely overwhelmed by the attention the last couple of posts have got. The wonderful Robin Hobb shared the link to Part 2 and since then it's had over 1000 hits, which is extraordinary for my humble little blog. Part 1 covered January to April and Part 2 covered May to August. Obviously this final part will cover September to December, and I'll try to narrow them down a little bit more. That said, it is New Year's Eve and I have had at least one glass of wine, so I won't make any promises! 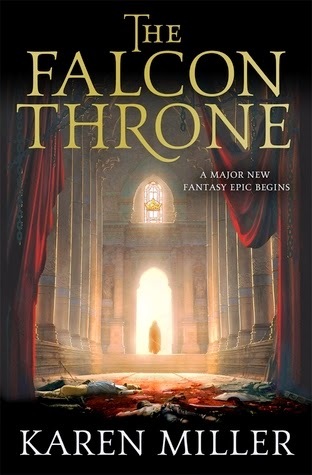 I read six books in September, a comparatively slow month, but I read The Falcon Throne which took about 6 weeks to get through. Good, but very long! An epic fantasy saga with supernatural elements, it features bordering countries bound for a long and bloody war. 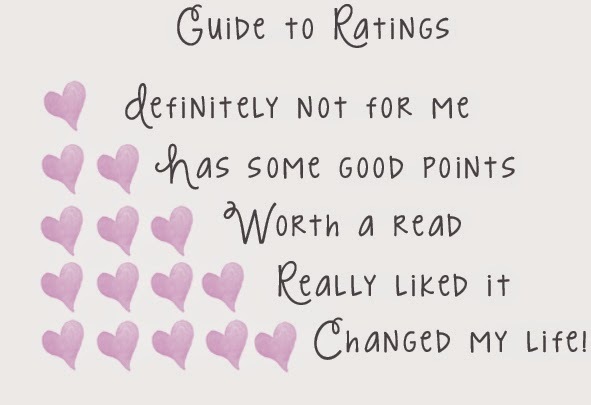 I'll keep going with this series, but it's not a light commitment and it's definitely not YA! 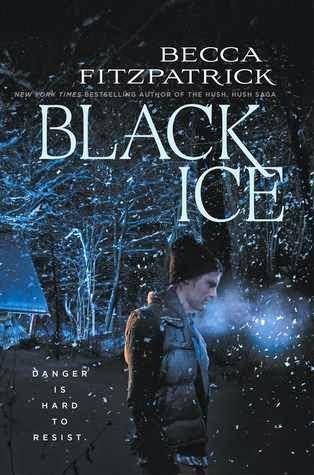 Black Ice is a stand alone thriller from Becca Fitzpatrick, probably best known for Hush, Hush. This is a great YA thriller about two girls who go camping in the mountains and get stuck in a blizzard. Seeking any shelter they can find, they come across an isolated cabin. The two guys inside seem nice enough, but can they trust them? And if they can't, will they get off the mountain alive? 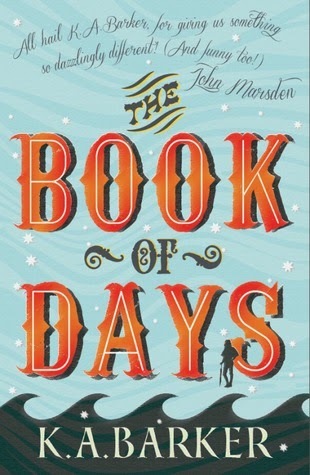 I loved Book of Days by Australian author K. A. Barker. Such a beautiful cover, and a great story to go along with it. Tuesday wakes up, seemingly for the first time, without any memories at all, not even her name. People don't go to the Unreality House without reason, and all Tuesday has is a letter asking her not to try and discover her true identity. A wonderful cast of characters, a fascinating world featuring flying ships, floating cities and a fight on a back of the train. My Reading Lark review is here. Two amazing books in November. I was travelling so didn't get too much reading time, but I did manage to enjoy a few books this month. . 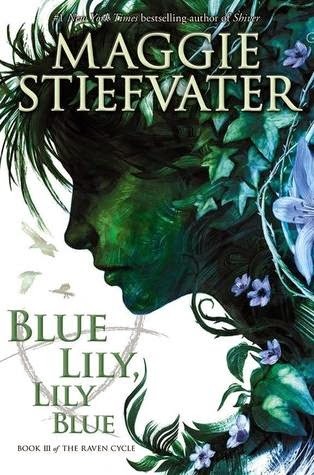 I read both Blue Lily, Lily Blue and The Dream Thieves in November. I absolutely adore these books and the wonderful world created within them. Lily is now one of my favourite characters, and in fact, like Lily, I am completely in love with her Raven Boys as well. Maggie Stiefvater writes like she draws - full colour, intricate detail, the whole being indecipherable if you're only looking at a small part. I both eagerly await and dread the final book in this series. I want to know how it all ends, but I really don't want to say goodbye to these characters. 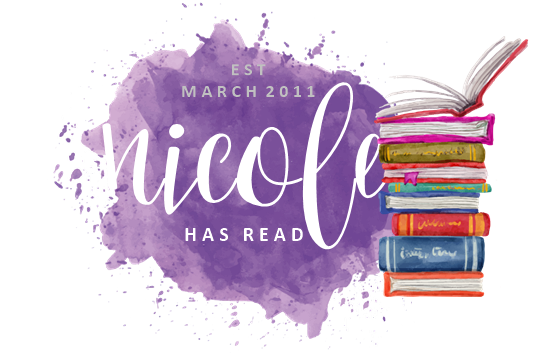 The whole reason I started this blog was because I read The Jane Austen Book Club twice, not realising until right at the end that I'd already read it. 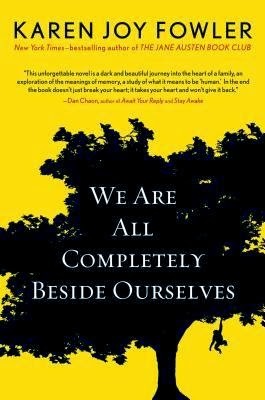 We Are All Completely Beside Ourselves is much more memorable, and a completely different style of book. Rosemary, the narrator, is recounting the breakdown of her family, and the disappearance of her sister and brother. There is a twist, which I worked out before the reveal, but that didn't dull my enjoyment at all. Having a background in Psychology helped, I think, but I would still recommend this book to everybody. December was a big month, I loved everything I read, but here are the highlights. I've never read any Peter Carey before, which is a terrible failing, but I'll now remedy it. 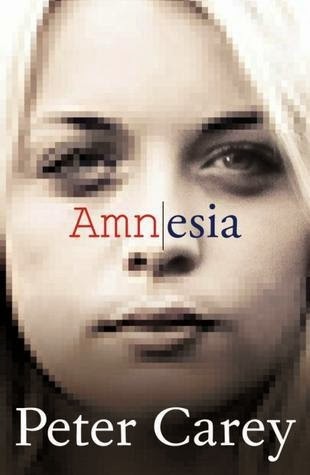 I really enjoyed Amnesia. It has a quintessentially Australian voice, and explores the world of Australian politics in a way that might be incomprehensible to those without a working knowledge of the last 40 years of #Auspol. My review is here. Breaking the Rules by Katie McGarry revisits Noah and Echo from Pushing the Limits. On their road trip across America, Echo is trying to deal with her reinstated memories of how she became scarred, and Noah is coming to terms with no longer fighting for custody of his brothers. I love Katie's writing, I love the way she handles sensitive social issues without hitting you over the head with them. She's also genuinely lovely to her readers. I recommend all of these. 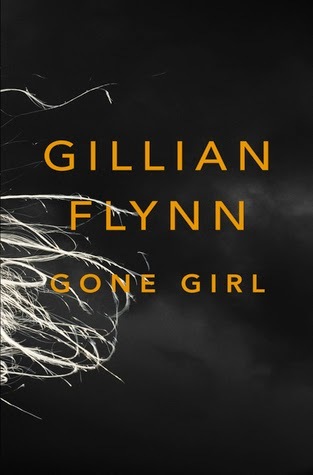 Gone Girl has been around for quite a while now, but I'd avoided knowing much about it. I loved the way it switched between Nick's viewpoint and the diary, and the switch half way through. 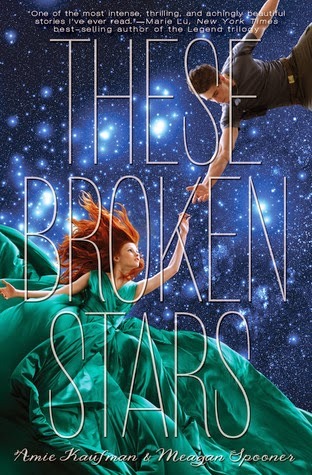 These Broken Stars is a wonderful sci-fi YA romance by Amie Kaufman and Meagan Spooner. Lilac LaRoux and Tarver Merendsen are thrown together when they're forced to abandon the luxury space liner they're both passengers on. Lilac is a pampered princess with hidden skills, and Tarver is a hardened soldier at 18. I laughed, I cried and I gasped in shock at times. 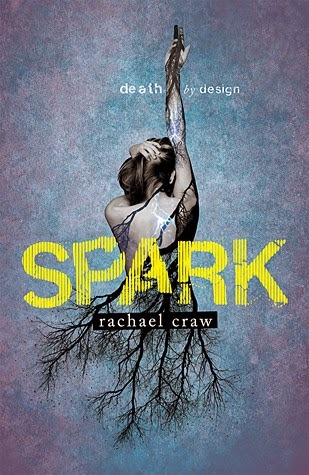 I loved Spark by Rachael Craw, clever thriller with sci-fi elements. Evie has the growth spurt from hell, followed by some pretty strange symptoms. It turns out that she's a Shield, genetically programed to latch onto a Spark and protect them from specific threats. 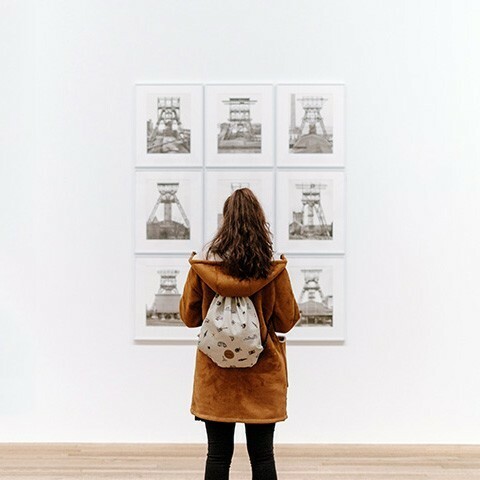 Unfortunately the person Evie has to shield is her best friend, and that's just all kinds of awkward, especially when her brother, who Evie has had a crush on forever, gets involved. I am a total #sparkarmy convert, and can't wait for the next in the series. Honourable mentions go to The Rosie Project and Mad About the Boy, which I really enjoyed this last week. That's it for 2014. Here's to a fabulous year of reading in 2015.